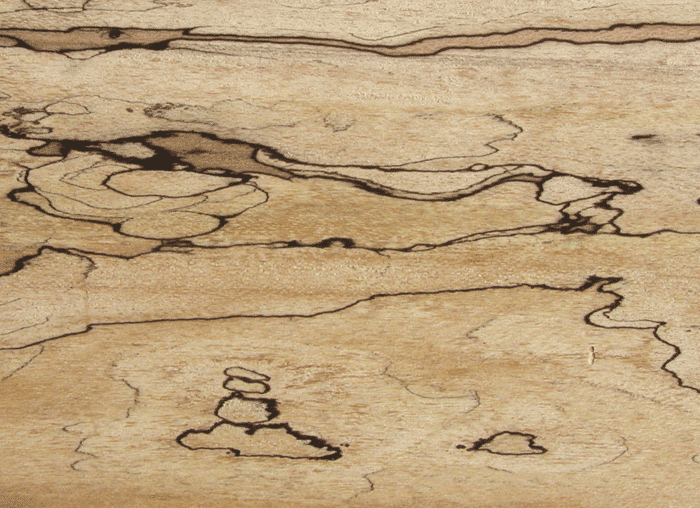 Spalting is caused by fungi working its way through wood – usually in fallen trees or standing deadwood. It occurs in fairly specialized conditions. The material I provided for Jake had traces of spalt in it when I got it from the sawyer. I stored the wood close to the ground and covered it to promote the fungal growth. Some of the boards yielded spectacular results.